I'd been helping people buy and sell homes for almost 13 years the day this picture was taken, February 3, 2015. It was serendipitous that I was named as the # 13 agent, in a company of almost 300 remarkable agents. But what makes me different from many of those is the other award....the Outstanding Individual Achievement award. One agent is recognized for that annually. I've always made sure to put together a great 'Team' to work with. Awesome escrow, title, home warranty, home inspectors, termite companies, lenders, disclosure reps, property photographers. I have the best group of these people to help my sellers & buyers. I love all of them and demand an excellent job be completed by them. Just ask, they'll tell you about my expectations. But, what I don't do, is a different type of Team Real Estate. When you hire me, you get me. When the paperwork is being reviewed, it's being reviewed by me. When the termite company makes recommendations, I'm the one that looks at the report. When tough negotiation is required, it's all me. When you need your Realtor? You get me. Not my listing agent, not my buyers agent, not my escrow coordinator. You get me. You hired me for a reason. Because you trusted me to get the job done for you in one of the most important events in your life. Because of that trust, you get me! I make a deal with every new client. That I will treat them the way I want to be treated. That I will get back to them in less than 2 hours if they can't reach me at any given time. I guarantee that I will work to help them buy or sell their home as if it was my very own. 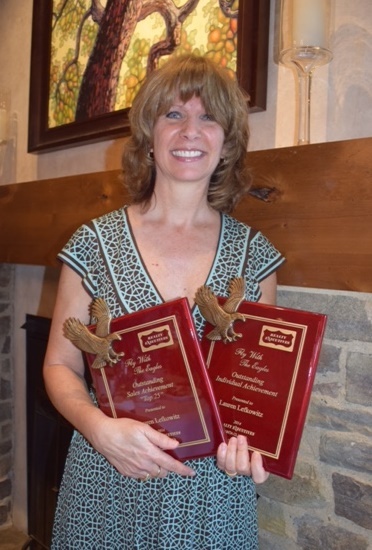 I am humbled and honored to have received both of these awards on this day. My hope is that I will continue to be able to take the very best care of each and every one of you who chooses to put your trust in me.